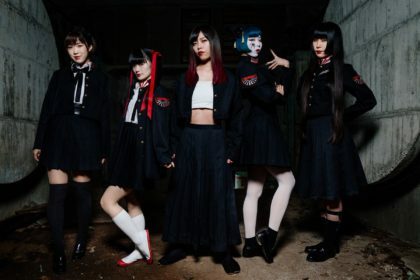 Hyper Japan regularly features special music guests from Japan, with past events hosting performances from Dempagumi.Inc, Moso Calibration, Charisma.com, The Tomboys, Toriena, TOKYO GIRLS’ STYLE,Tomoyasu Hotei and REOL among others. 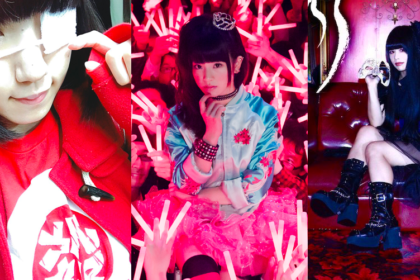 For this year’s Christmas Market event, Hyper Japan is hosting a broad spectrum of musical guests, including FEMM, MUTANT MONSTER, LOVEBITES, BOO, Hibiki Ishikawa and xiè. Hyper Japan will also have the winners of the Dream Stage Competition (Friday 16:45 and Saturday 11:30 on the HYPERLive stage) and the Third Cosplay War coming from Japan. These are both competitions in which the audience of NamaTV voted for their favourite idols/cosplayers. The Dream Stage Winning Idol will be performing on the HYPER Live stage, while the Third Cosplay War winner will join the COSParade and COSTest. FEMM (aka ‘Far East Mention Mannequins’) are an electronic music duo (consisting of RiRi and LuLa) who managed to achieve international recognition via songs such as ‘Kill the DJ’ and ‘Fxxk Boyz Get Money’. Signed to the Avex label, FEMM have also signed a licensing deal with JPU Records, who released a special combo pack featuring their 2014 debut album Femm-Isation and EP Pow!/L.C.S. in 2016. 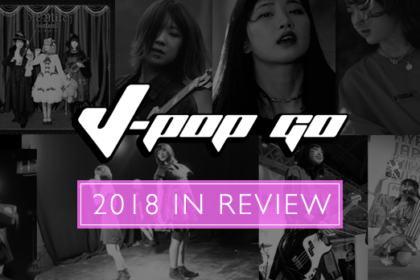 Their latest album 80s/90s J-POP REVIVAL sees the pair tackling some classic J-Pop tunes, including covers of tracks by hitomi, Yuki Saito, Kome Kome Club, Wink and the brilliant green. FEMM rocked London earlier in the year when they performed at a special Hyper Japan Party. This collaboration between Hyper Japan and JPU Records featured FEMM and chiptune artist Shirobon in performance (with J-Pop Go handling DJ duties). 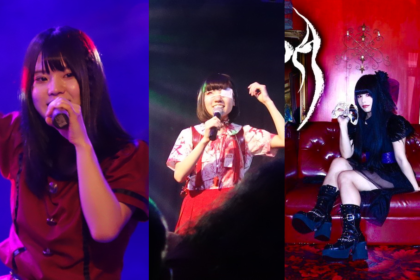 This 5-piece female metal outfit consists of Asami (lead singer), Miho (the band leader and the bassist), Haruna (drummer), Midori (guitarist) and Mi-Ya (guitar and keyboards). 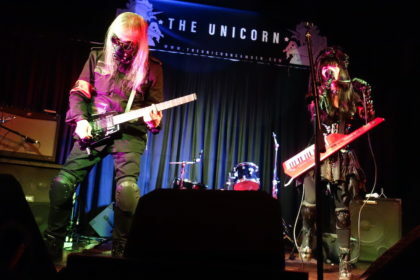 Formed in 2015, the band’s sound is described as “deep heavy metal sonic structure with dynamic crystal clear vocals”. Singer Asami has a talent honed by being a back-up vocalist for live outings by the likes of Vamps and UVERworld. Following the release of their debut EP, the band have just released their debut album Awakening From Abyss via JPU Underground. The trio made their first overseas performance at the Japan Expo in 2016, but also found time to perform in the UK the same year with shows in Birmingham, Cardiff, Bristol, London, and Brighton. Keen to bring their own flavour of gritty guitar tunes, this will mark their first Hyper Japan appearance. The duo of Boo consists of Miyuu (a member of SDN48) and Satoko (a member of DIVA – a dance vocal group of AKB48). Satoko has appeared at Imperial Palace Hotel and Casino in Las Vegas for 2 years. Upon her return to Japan, she became a member of AKB48 dance vocal group DIVA, where they reached Oricon Singles Ranking, hitting #3. At the age of 18, Miyuu was awarded the Grand Prix in the Shonan Girl Contest and became the poster girl for her hometown Shonan. She then passed an audition to be a second generation member of the SDN48. Recently coming from a tour date in New York, the duo are flying to England to perform only on Friday and Saturday of Hyper Japan with energetic dance routines and J-Pop goodness. MIOU returns to Hyper Japan once again. The singer was one of the opening acts at Japanese Film Festival in 2009 in Florence, Italy. also She sang at the prestigious UNESCO world heritage site, Basilica of Santa Croce. 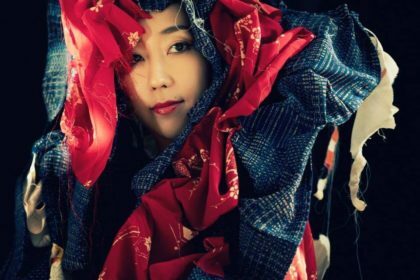 Having achieved the grand-prix award for the “Top Asian Fashion Singer of the Year 2011” in China, and Asia Pacific Inspirational Women Award 2014 in Singapore, MIOU has been performing worldwide on various international stages including Japan Expo. Outside of the music events, Hyper Japan also has a wealth of other cultural treats for attendees. Food remains an important element of the event and this year you can sample the Ramen Experience – an all-new foodie extravaganza in partnership with Harro Foods. Try 4 different soups – and find your favourite ramen! The HYPER Creative Studio returns offering a series of hands-on workshops. Each workshop will focus on a particular aspect of Japanese culture and present the topic in an easily digestible manner. As the driving concept behind the Creative Studio is a “hands-on approach,” each workshop will include some form of interactive activity, so visitors should be ready to roll up their sleeves and join in. Dotted around the event will be a variety of cultural demonstrations, including martial arts displays, calligraphy (care of Fukushika Taro) and the return of master rakugo storyteller Katsura Sunshine – Fresh off a successful West End run, this dynamic comic takes traditional Japanese comedy tales and performs them for an English speaking audience. More details on Hyper Japan via the J-Pop Go event page. Hyper Japan Christmas Market runs from 24th – 26th November at Tobacco Dock, London.